So back in August, I became part of the Staten Island protest march to mark the murder of Eric Garner at the hands of the NYPD and call for justice. I had posted an article about the march and the still-simmering problems in Ferguson on Planet POV, a new blogsite for progressive types about political issues. I thought it might be of interest to readers here, and the Planet Pov community is a good group of people. It’s well moderated and people behave themselves. Miscreants and trolls are told to hit the road. Anyway, the article is here. Leave comments there and help them drive their numbers. 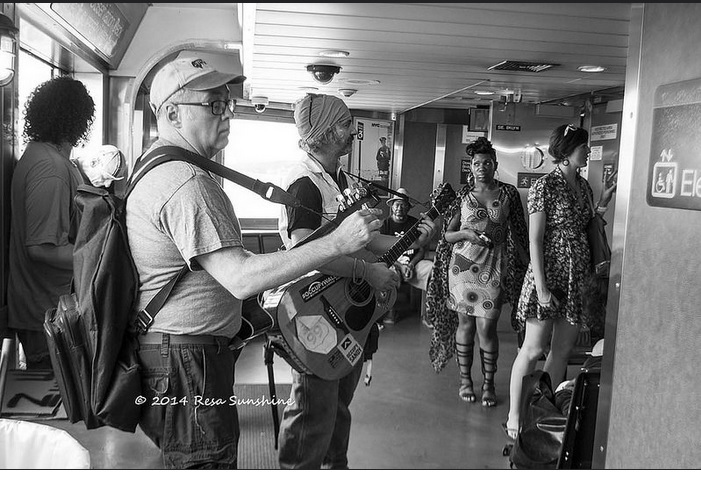 me onboard the ferry to Staten Island trying to tune a low E. Picture courtesy of Resa Sunshine.